There’s no sand in sandpaper. About two thousand years ago, some Chinese woodworkers glued crushed shells and sand to parchment. Since then, woodworkers have tried everything from sharkskin to crushed flint to make their projects’ finishes look and feel better. 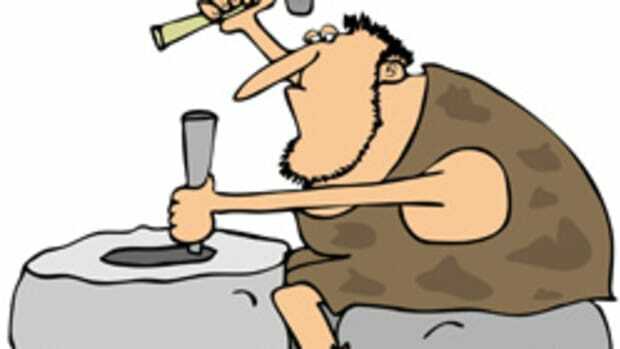 Sometime through the centuries, a clever artisan figured out how to grind glass to make abrasives and glass paper was born. The first modern sandpaper patent was issued to a thrifty Yankee named Isaac Fisher, of Springfield, Vt., back in 1834. It would be another 87 years until the Minnesota Mining and Manufacturing Co. (3M) developed wet/dry paper in 1921. Today, sandpaper abrasives run the gamut from garnet to aluminum oxide, silicon carbide and ceramics. These abrasives are usually bonded to backing (paper or cloth) with resins and the thickness or weight of the backing can play a big role in how the abrasive works. The more flexible it is, the better suited to contours and curves the paper will be. Inflexible backers are, for the most part, better at delivering flatter surfaces. Paper backers range from A to F (light to heavy) and cloth grades are J, X, Y, T and M, with the latter being the most substantial. Some very fine operations also use emery or chromium oxide abrasives and these are often bonded to a Mylar (polyester) backing. Many sandpapers can be ordered as stearated, which means that a soapy solution was added to the grit to create a lubricating affect. This helps avoid clogs, so the paper lasts longer. Another term often used is open-coat, which in essence just means the abrasive chunks have space between them and this also helps avoid clogs. The trade-off here is that avoiding clogs could make the paper last longer, but it can also slow down the speed at which it cuts. The most delineating aspect of any abrasive is its grit size. Big chunks of abrasive material cut quickly, but coarsely. The scale most commonly used in North America is CAMI (which was developed by the Coated Abrasives Manufacturers Association) and it generally runs from 24- to 1,000-grit. 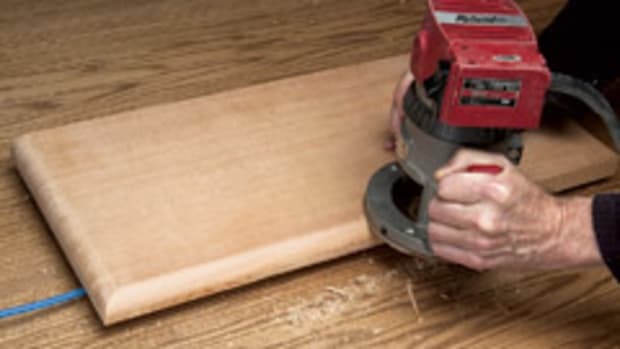 Woodworkers might use the extremely harsh grits 24 and 36 to shape wood, while sanding of final coats and polishing is done with 800 and 1000 grits. 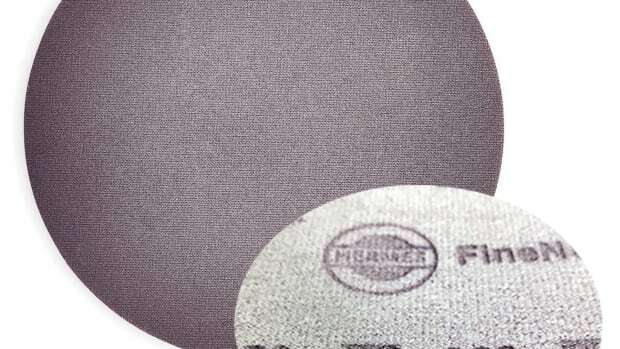 If an abrasive carries a letter P in front of the number (for example, P600), then it is being graded according to the European standard and the numbers are a little different at the finer end of the scale. They’re about the same until 400-grit and then the P scale begins to accelerate. For example, a CAMI paper rated 1,000 is roughly (no pun intended) the equivalent of a P paper at 2,000. Garnet, which is most often found in a reddish-orange color, is actually a low-grade gem that is also used by jewelers. It’s crystalline and, as it shatters, it reveals new facets (sharp edges and points). One of the more common varieties of garnet used in sanding solutions is almandine, which is a hard iron and aluminum compound formed in metamorphic layers (rocks that have changed, or metamorphosed, because of heat and pressure). Aluminum oxide is a chemical compound created between aluminum and oxygen and it, too, is crystalline. Strong and hard, it is quite common and therefore not too expensive to turn into a sanding solution. It doesn’t hold heat very well, which helps it avoid clogging with resins in the wood or finishes. Anodized aluminum oxide is a version that has been cultured or grown on a layer of aluminum in a factory, rather than waiting for nature to do the same thing outdoors. Silicon carbide (also known as carborundum) has been around a long, long time — it has been commercially manufactured for more than a century. Edward Acheson, a Pennsylvania chemist who once worked for Thomas Edison at Menlo Park, patented the process in 1893. Silicon carbide is very inexpensive to make and is extremely hard. The next generation of sandpaper is probably going to be ceramic-based or a combination of ceramics and metal. Ceramics can be produced in large quantities in a relatively simple manufacturing process and at low cost. They can also be engineered for shape, hardness and fracture (the way new facets are revealed). Carbide Processors in Tacoma, Wash., has been manufacturing cutters and saw blades for several years using a process that binds metals to ceramics and variations of that concept have significant potential in the abrasives field. Another direction the woodworking industry might take is to eschew abrasives entirely. There are two possibilities here. The first is a leap forward toward more additive manufacturing — parts that are being made without cutting or abrasion as is already being done with 3-D printers. The second is a leap backward toward what Toshio Tokunaga, the principle craftsman at Tokunaga Furniture just north of Kobe, Japan, calls kanna. In a Core 77 piece from April 2015 (www.core77.com), Tokunaga describes why and how he and his apprentices don’t use sandpaper, but “are still able to achieve a glass-like finish on their furniture pieces, even absent varnish.” The term for hand tools in Japanese and, more specifically for planes and shaves, is kanna. Well-maintained blades will cut, Tokunaga explains, while sandpaper simply tears. 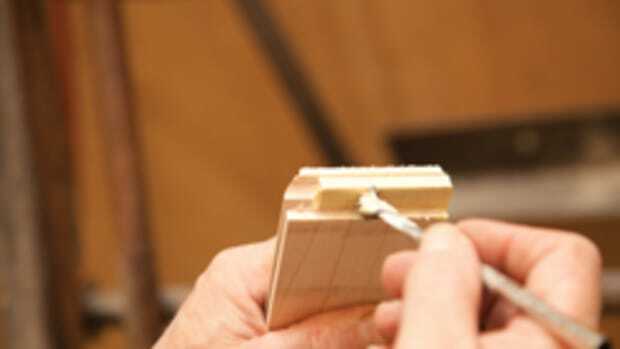 His point is that sharp blades shear the cell walls and deliver a clean and deep finish, while sandpaper simply “rubs away the natural pattern of the wood.” That’s an argument that has been made by hand-tool enthusiasts and aficionados for decades. As CNC cutters and servomotors become more and more accurate, perhaps we’re not too far away from a cutter that can equal a card scraper in quality. In the same vein, Cefla North America recently partnered with Henkel Corp. on a project to speed up the process of bringing gloss finishes to melamine panels. Henkel’s Technomelt CHS ultraviolet coating, delivered via Cefla’s Inert Technology system, can achieve “just the right coating” to avoid repetitive sanding. The companies say the new process can save on both sanding time and abrasives. Even minor technological advances can affect the amount of sanding we have to do and, while we’ll probably never completely eliminate the task, what woodworker is going to complain about at least reducing it? No discussion of sanding solutions is complete without also looking at controlling the debris that the task engenders. One of the problems and blessings in the constant evolution of abrasives and sanders is that fines just keep getting finer. 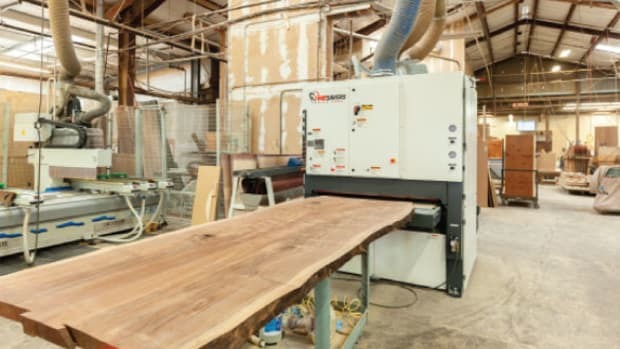 Sub-micron particles are susceptible to even the smallest draft and, once airborne, they can wander through the entire woodshop and contaminate finishes or even present a health hazard. So while better finishes are being delivered, the potential for their contamination increases. It’s a two-edged sword. To take full advantage of a dust collection system, a shop needs to gather sanding waste as it is being manufactured. That’s relatively easy to do with stationary machines that have a confined plenum, but handheld sanders are a much larger challenge. The traditional way to tackle this problem is a three-pronged attack — a ceiling-hung filter to scrub the air, a downdraft table below and a sander with a vacuum hose attached. A designated sanding booth is also an option. 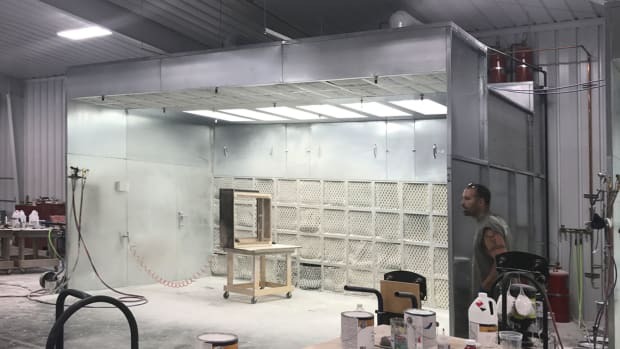 There are manufactured booths such as the systems offered by Servair or Global Finishing Solutions and, if the budget won’t allow for those, then Sandman Products makes a nifty little portable booth that would also be ideal on larger jobsites. The company’s Sand Pro SBP108 is a self-contained sanding booth for collecting dust on items that are too large for a sanding table. It has hinged, vinyl panels that fold against the body for easy storage when the machine isn’t being used. There’s also the option of building a booth in-house. It doesn’t have to be a major construction project: it just needs to be a relatively well-sealed space and that can be achieved using clear poly and studs or perhaps a curtain wall from Goff’s. Before going down this road, invite an HVAC contractor to take a look at your plans and help you locate the booth. 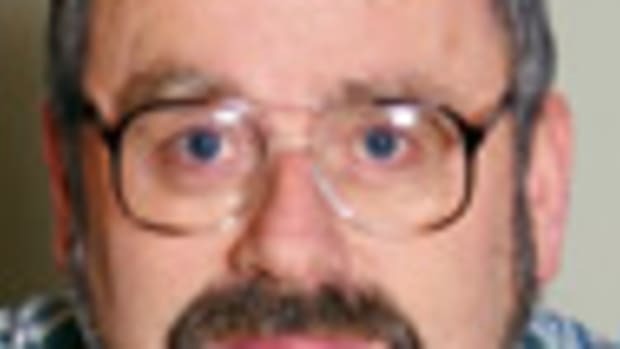 The contractor will be able to calculate the need for makeup air and establish forced-air delivery and return options that won’t affect furnace or air conditioning filtering.